President Trump is using hardball tactics in an attempt to blunt the impact of Michael Wolff's bombshell-filled book about his administration. Charles Harder, an attorney representing the president, sent a cease-and-desist letter to Wolff and his publisher, Henry Holt, on Thursday morning. The legal letter, a copy of which was obtained by CNNMoney, demanded that the publisher "cease and desist from any further publication, release or dissemination" of the book "Fire and Fury: Inside the Trump White House." 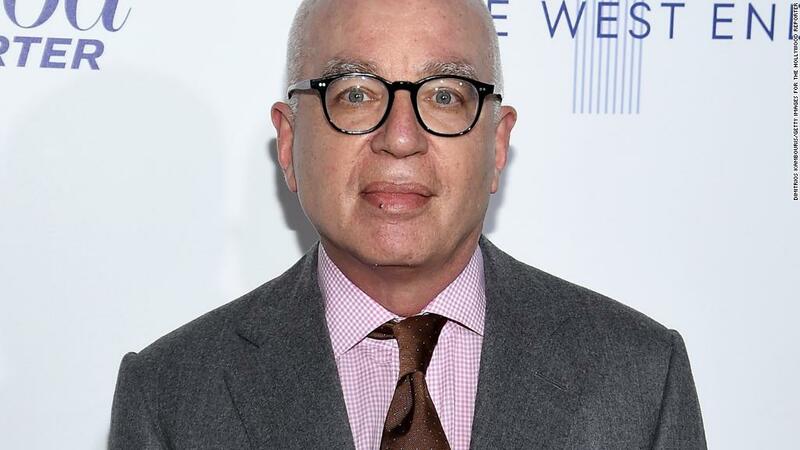 Wolff's book is full of shocking quotes and claims about White House chaos and incompetence. The book affirms much of what's been previously reported by other outlets and adds disturbing new details. But it also contains some errors, according to early reviewers. Excerpts from the book have been published by New York magazine and The Hollywood Reporter. Harder's letter alleges that the book excerpts contain "false/baseless statements" about the president. The letter also uses the term "actual malice," raising the prospect of a libel or defamation case. Legal experts said an actual lawsuit is highly unlikely. Nevertheless, the letter is a serious escalation in Trump's war against media outlets. Some journalism advocates said Trump's tactic was disturbing and compared it to an attempt at censorship. Others said the threat would backfire and help sell even more copies of the book. The threat came one day after Harder sent a letter to former White House chief strategist Steve Bannon, who is quoted in the book saying unflattering things about Trump and his family, threatening to sue him. Trump has a long history of challenging opponents with cease and desist letters. He also has a reputation for threatening lawsuits but not following through. At midday Thursday, a spokeswoman for Henry Holt confirmed that it has received the letter. The company had no further comment. Wolff did not respond to a request for comment. The publisher will almost certainly dismiss the letter and move forward as planned. Thousands of copies of "Fire and Fury" have already been shipped to bookstores, and some news outlets have already obtained copies. The book is scheduled to be released to the public next Tuesday. When quotes from the book leaked out on Wednesday, it immediately soared to #1 on Amazon's best selling books list. The pre-orders reflect intense interest in the subject matter. It seems Trump is belatedly trying to extinguish that interest -- even though some of his top aides gave Wolff unprecedented access to write the book last year. The legal effort on Trump's behalf is led by Charles Harder, an entertainment industry litigator best known for leading Hulk Hogan's lawsuit against Gawker. Harder has also represented Trump and his wife Melania in the past. He reportedly represented former Fox News chairman Roger Ailes as well. And Harder also briefly represented Harvey Weinstein, and threatened on his behalf to sue The New York Times. No suit was ever filed, and Harder left Weinstein's legal team less than two weeks after making the threat. Thursday's letter to Wolff and the publisher is a pretty standard cease and desist letter -- but it is remarkable because it involves the president. The letter says: "Mr. Trump hereby demands that you immediately cease and desist from any further publication, release or dissemination of the Book, the Article, or any excerpts or summaries of either of them, to any person or entity, and that you issue a full and complete retraction and apology to my client as to all statements made about him in the Book and Article that lack competent evidentiary support."